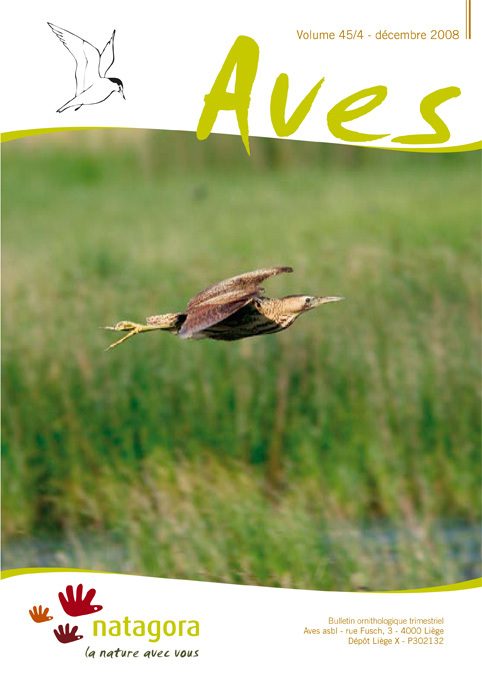 This article presents the results of a study of 19 species carried out in the framework of a LIFE Project called “Reed Bed Bird Life in the Haine Valley” from 2002 to 2005. The birds involved were exhaustively censused in the various marshes studied (Harchies, Hensies, Pommeroeul, Hautrage, Douvrain, and Marionville). The results of this research are presented as well as a history of each species in the study zone. Two species are considered to be former nesters (the Great Reed Warbler Acrocephalus arundinaceus and Savi’s Warbler Locustella luscinioides), five species are decreasing, four are stable, six are increasing, and two are either passing migrants or wintering birds. This publication presents the situation during the LIFE Project. It would be interesting to repeat such a study in order to measure the impact of a favourable management of the reed beds on the bird life.